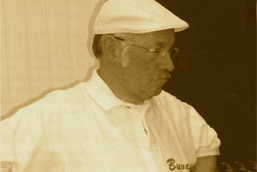 The firm Buva was set up by Hubert Bullen in 1983. Buva Vleeswaren bvba is a dynamic family business specialising in the production of assorted meat delicacies made according to traditional methods, with the emphasis on “TRADITIONAL”. In 1968 Hubert Bullen and Mia Vanaken opened a butcher’s shop. It was here that they first had the idea of making high-quality sliced cold meats and meat products themselves. 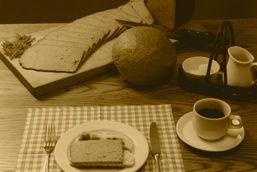 Hubert immediately focused on the production of baked pâté that would acquire its original brown colour and smooth taste thanks to a natural baking process. 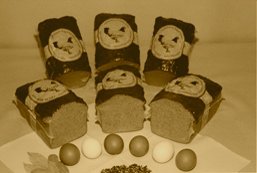 After various tests he managed to achieve the result he was after, and “Baked Pâté” was launched. The enterprise was successful and Buva was set up in 1983. 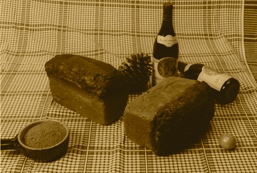 Hubert was responsible for production of the “Baked Pâté”, alongside employee Patrick. And in 1993 Buva underwent expansion. Further to the success of the "Baked Pâté", “Baked Chicken Pâté” was launched in 1999. Hubert has passed on his knowledge and vision to his children Danny, Veerle and Viviane, all of whom work in the company. Together with Patrick, they are continuing and further developing his life’s work. Buva’s range has been expanded with various kinds of pâté, scrapple, meat loaves and sausages. Everything is still made according to traditional methods, as their father used to do it. This means that the whole process of filling terrines or other moulds with the products and oven baking is still carried out by hand. The result is that every Buva product is genuinely made in the “old fashioned”, traditional way! Buva vouches for the quality of the ingredients and auxiliary substances used. The greatest attention is paid to hygiene before, during and after processing. Buva is IFS and ACS certified. Buva offers its products to wholesalers and retailers. They in turn distribute the products to butchers, local neighbourhood stores, supermarkets, etc.